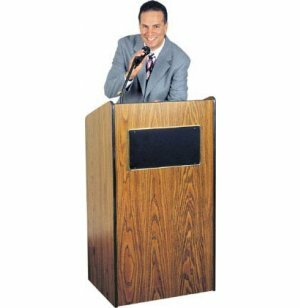 This powerful sound lectern now comes with a choice of three wireless podium mic styles. With three great options, you can choose the style that best suits your speakers and the venue. 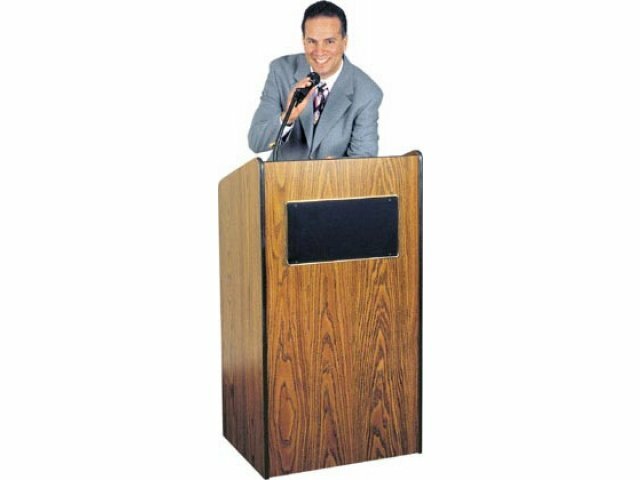 The Radius Edge 50-Watt Sound Lectern is designed to accommodate public speaking events where the audience is anticipated to be up to 2,500. 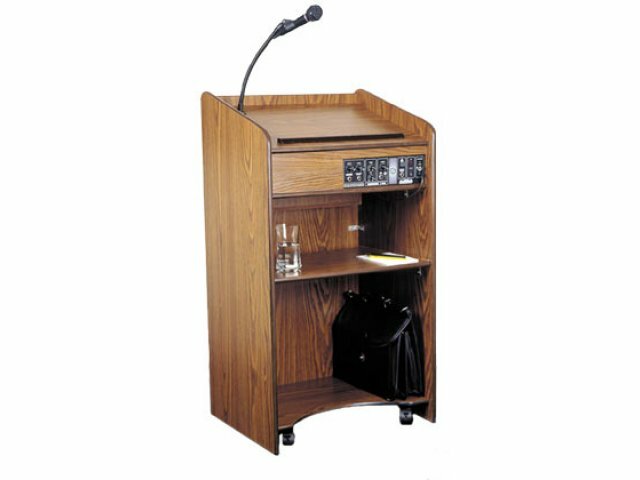 This sound lectern delivers clear, crisp sound by means of a 50-watt multimedia amplifier and twin 8-inch speakers. 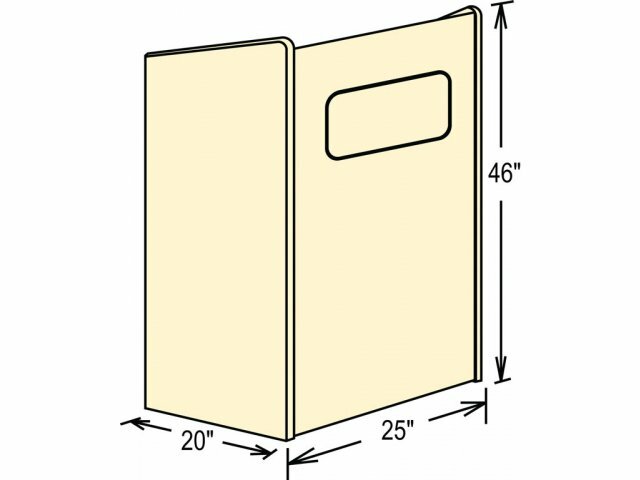 Two built-in shelves offer convenient storage. The sound system is powered through an electric cable yet it also has the option of using a battery. A recharger for the battery is built into the podium. Those speaking can choose between using a handheld microphone w/9' cable, a tie-clip microphone w/10' cable, or wireless microphone. A digital clock lets the speaker keep careful track of the time. Finally, although this sound lectern looks permanent, four casters make for easy mobility. Personal Choice: Choose one of three great wireless podium mic styles: handheld, lavalier/tie-clip or headset microphone. Worry Free: Limited Lifetime Warranty guarantees years of use and enjoyment. Electronics have a 5-year warranty.